Testoviron Depot is based on the testosterone ester - Enanthate. This is a long testosterone ester, which was synthesized in the 50's. Before that, there was an ordinary synthetic testosterone, which was removed too quickly from the body, with a large number of injections, which resulted in various abscesses. 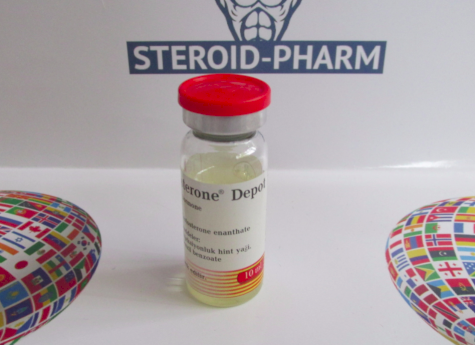 With all the positive effects of Testoviron Depot (Testosterone Enanthate), the drug has its drawbacks. Testosterone Enanthate is converted into estrogens in the body, so-called aromatization occurs. This leads to the appearance of such side effects as: gynecomastia, muscle swelling, fat deposition, fluid retention in the body. However, if you add aromatase inhibitors (Proviron, Anastrozole) to the steroid course, most of the above side effects can be avoided. As a rule, aromatase inhibitors are added from the 15th day of the course and are taken until it ends. Another disadvantage of Enanthata is that he strongly oppresses the production of his own testosterone, which as a result can lead to atrophy of the testicles. This minus is also eliminated by correctly exiting the course. At the stage of PCT (post-course therapy), it is necessary to take Clomid, or Tamoxifen for 2 weeks to normalize the testicles. Don’t waste time, buy Testoviron Depot online in our store and take the first step to building the perfect body. 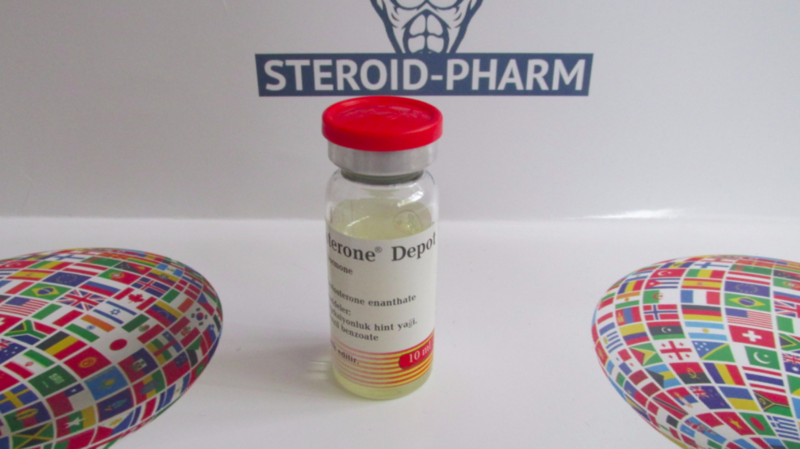 Before you buy Testoviron Depot (Testosterone Enanthate), athletes should be aware of the correctness of the drug and its possible combination with other steroids. Testosterone enanthateon the course goes well with Deca (NandroloneDecanoate), Methane (Methandrostenolone), Stanozolol (Winstrol), Oxymetholone (Anapolon). However, according to professional athletes, the drug can be taken and solo. Dosages of Testosterone Enanthate on the course depend on the weight category of the recipient. If the weight of an athlete is up to 80 kg, he needs to do 2 injections per week for 250 mg (1 ml), with a weight of 80 to 100 kg - 3 injections per week for 250 mg, if the weight of the receiver is over 100 kg, its dosage is 1000 mg per week, i.e. 4 injections of 1 ml. In view of the fact that Testovirone Depot is converted into dihydrotestosterone in the body, it is possible to manifest such side effects as: acne, alopecia, enlargement of the prostate, increased blood pressure (arterial pressure). Buy Testoviron Depot online in our store and receive the goods of premium quality at a symbolicprice. Stick to the dosage that is installed in your doctor. Don’t combine drugs with any preparations of an unknown action and strong alcohol. Beware of fakes. The course of taking steroids should not last longer than the time set by the doctor.